This month we welcome Gala and Intersport as our new official partners, and I talk Operation Transformation and junior parkrun as we lace up our trainers for another exciting year of parkrun in Ireland. Last month we heard from parkrun founder Paul Sinton-Hewitt about where parkrun was at globally at the end of 2015. So at the start of a new year we thought it would be good to talk about our plans for Ireland in 2016. People often ask me to explain what parkrun is and there isn’t really an easy answer because parkrun means different things to different people. It’s friendships, family, community and so much more. In 2015 our mission was to spread the message throughout Ireland that parkrun is more than just a free weekly timed 5k. It is somewhere to go with family and friends to feel part of a special community. By this weekend we will have 44 parkruns throughout Ireland and almost 80,000 registrations, and we feel that the message is gradually spreading and being understood by more and more people. It’s not just about numbers, it’s about communities, people, healthy lifestyles and empowerment. So where do we go in 2016? Well, there are parts of the population that we are not yet engaging and we have a few exciting projects planned already to reach out to these groups. The first project is our partnership with Operation Transformation, an initiative with very similar objectives to our own by targeting sedentary people. By offering a welcoming and understanding community environment to those looking to get into activity, combined with all the marketing power and support of Operation Transformation, we are hoping that we can be part of helping thousands of people to make the transition to a more active and healthier lifestyle. If in attempting to embrace these extra numbers we occasionally have the odd technical mishap, please remember that parkrun is not a race – it’s a run. Paul Sinton-Hewitt spoke to RTE on the weekend about parkrun and Operation Transformation, which you can listen to here. The interview is about 1:48:30 into the programme. The second project is about breaking the cycle of inactivity before it’s formed by getting children into early activity patterns. The plan is to introduce junior parkrun, a 2k event at 9:30am on Sunday mornings for 4-14 year-olds. The groundwork for the junior events was undertaken in 2015, which included drawing up safeguarding policies and procedures and having them approved by the governing body, Athletics Ireland. We launched our inaugural junior event in Rush on 13th December with 166 children and many parents participating. It was a wonderful event enjoyed by children and adults alike. Similar to the senior events, the emphasis at junior parkrun is on enjoyment and fun rather than competition. Now we are looking for teams from all areas of the country that would be willing to work with us to bring junior parkrun to their community. Our hopes are that children will grow up with a love of running and feed into the many excellent AAI affiliated junior clubs in Ireland. Hopefully in 10 or 15 years time we will have Olympians, Paralympians and international athletes, who started out at an early age at parkrun, acting as an inspiration for generations to come. 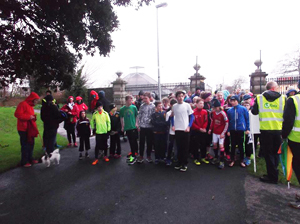 December marked the launch of junior parkrun Ireland, with the inaugural free run taking place at Kenure Woods in Rush, Co. Dublin, where 166 children and many parents took part in the 2k run. 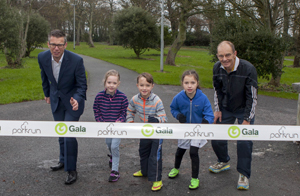 At the event, Gala Retail – one of Ireland’s most progressive convenience groups with almost 200 stores – was unveiled as the first commercial sponsor of both parkrun Ireland and junior parkrun Ireland. All parkrun events in Ireland will now proudly display new branding and equipment, which will see the Gala logo sit alongside the parkrun logo. In addition, from February Gala will be launching a new competition for Ireland’s parkrun community, searching for the Gala parkrunner of the month. More details will follow in the next newsletter. Gala’s sponsorship of parkrun Ireland embraces our new ‘Your Choice with Gala’ health and wellness strategy as parkrunners can choose to walk, run or jog…it’s YOUR CHOICE! 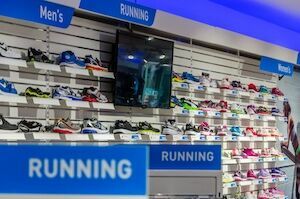 In addition, there’s a real synergy between Gala stores – which are independently owned and operate in the heart of local communities – and parkrun events, which are owned and run by local communities. parkrun is an amazing concept that Ireland has truly embraced, and we are thrilled to be partnering with parkrun Ireland for the next three years. In addition to Gala’s sponsorship of parkrun Ireland, we have joined forces with Unislim to create Good 4 Me, a range of healthy lunch options that don’t compromise on taste but are all less than 400 calories. Initially being introduced to 20 Gala stores, Gala’s Good 4 Me range will be rolling out monthly in participating stores nationwide. We are really excited to start the new year as partners of parkrun Ireland and as part of the ever-growing community of runners who get together every Saturday morning. More and more people are running as it’s such a great way to keep fit and healthy. parkrun takes this to the next level with their family-friendly atmosphere, which Intersport echoes through our independently owned and run stores that serve the local community for all sports. 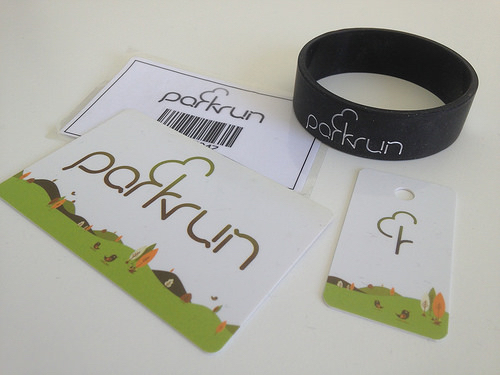 If you’re tired of a wet and soggy barcode, or just want to make sure you never forget it, personalised key tags and wristbands are available from our friends at ERS. You can also add the details of an emergency contact and note any medical conditions. A percentage of all sales goes to support growing parkrun in Ireland. 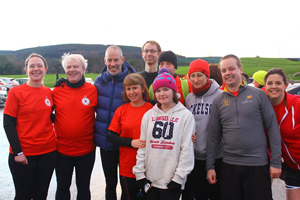 Thanks to everybody at Marlay parkrun on Saturday. I was there as an ambassador for Naas parkrun as part of the Operation Transformation initiative with parkrun Ireland. It was my first time doing the Marlay course, thank you to all the volunteers and everybody. The atmosphere was great and I really enjoyed it. I did my first Ardgillan parkrun recently. It is a challenging course but a great bunch of people and an enjoyable run. Thank you to the volunteers and I hope to be back when I can. Our daughter recently completed her first parkrun and she loved it. Many thanks to the volunteers for making it happen! Has parkrun made a difference to your running or your life? If so we would like to share your story. Drop us a short e-mail about your parkrun experience and we will publish a selection each month. Favourite volunteer role: Either Marshalling or Results Processor. When marshalling, I love cheering people on along the course and seeing the impact the encouragement has. As a results processor I get to run, and then compile the results somewhere warm afterwards! What do you do at parkruns: At the moment I’m trying to try out all of the different volunteer roles so each week is different. I normally arrive at 9 and see what needs to be done, depending on what volunteering role I’m doing that week. The time flies between 9 and half nine and before I know it, it’s 3, 2, 1 go! Times goes even faster from that point on and soon enough it’s time to collect up the signs and go for coffee! How has parkrun changed your running: I have definitely gotten faster since I started attending parkruns. I’ve gotten to know a lot of people through parkrun and I have recieved a lot of advice and even been paced on a few occasions! The way that people are willing to give up their own runs to help others is incredible. What do you like about parkrun: I love the camaraderie of parkrun, the way the finishers cheer on the people still running, the willingness of everyone to help out in any way they can, and the post run coffees in the coffee shop! 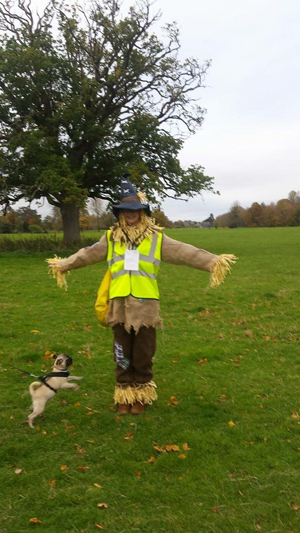 Most memorable or funniest parkrun moment: For the Hallowe’en parkrun I volunteered to marshal. I dressed up as a scarecrow and managed to scare a few runners, but scared more dogs than people. While I was distracted cheering on the runners, one dog tried to do its business on my feet!